We start our vacation by boarding a Direct Flight to Beijing, the huge capital of China and an ancient city of great splendor whose history goes back 3 millennia. Upon arrival at Beijing International Airport, an Air & Sea travel representative will greet us and take us to the Temple of Heaven, a UNESCO World Heritage Site. It is widely regarded as the noblest example of religious architecture in all of China. This is where emperors came to worship heaven for a bountiful harvest. The design shows that heaven is high and the earth is low and reflects an ancient Chinese saying: ‘the heaven is round and the earth is square’. After that, we will visit a Fresh-water Pearl Shop. After lunch, we will check in at our hotel, and explore the city or enjoy free time on our own. This morning, we will walk around Tiananmen Square, probably the largest and most magnificent public square in the world. We will then explore the Forbidden City, the largest and most well-preserved imperial palace and a UNESCO World Heritage Site. This vast and exotic palace was brilliantly captured in the movie “The Last Emperor”. Seat of supreme power for over five centuries (1416-1911), the Forbidden City in Beijing, with its landscaped gardens and many buildings with nearly 10,000 rooms containing furniture and works of art, constitutes a priceless testimony to Chinese civilization during the Ming and Qing dynasties. In the afternoon, we will go to the Olympic Park, where the 2008 Summer Olympic was held and is now the newest tourist attraction in Beijing. View the exterior of two of its most iconic venues – the “Bird’s Nest” (Beijing National Stadium) and the “Water Cube” (National Aquatics Center) where Michael Phelps won 8 Olympic gold medals. Tonight’s Welcome Dinner features China’s famous Peking Duck. ** Fangzhuang Quanjude Roast Duck Restaurant: Founded in 1864 and still owned and run by the same family, Quanjude is famous as the home of Beijing duck. Farmed locally, the ducks are roasted over an open fire, where fruit-tree wood gives them their special fragrance. The duck will be sliced before your eyes before slivers of duck – famed for the layer of juicy fat which lies under a crisp golden-brown skin – are rolled in pancakes with shallots and cucumber. The carving and tasting of the Quanjude roast duck is a must for visitors to Beijing. Today’s highlight is the fabled Great Wall, a UNESCO World Heritage Site and a massive defensive structure built to keep intruders out. China has many things to see, but the one great wonder is the Great Wall. We can see it undulating for miles across the mountains. The scale of this wall must be seen to be believed—it is an awesome sight! Then, we will visit a Jade Workshop, where we will learn about Chinese jade culture. Our next stop is Wangfujing Street, a large shopping street with lots of restaurants like KFC. We will walk around to experience Beijing’s nightlife and enjoy dinner here. We are not accustomed to the non-western style of shopping here, but it is fun to browse. 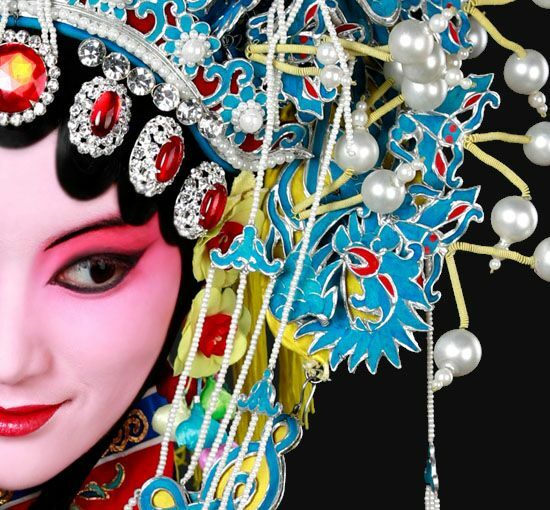 At last, we will enjoy a traditional Peking Opera in Liyuan Theatre, one of the leading Opera venues opened in 1990 and located in former Xuanwu District, the birthplace of Peking Opera. Within the 160 year history of Peking opera, the performance at the Liyuan Theatre is the most classical introduction to the performing art. The repertoire is an interesting combination of delightful humor and old Beijing culture. In the morning, board a flight to Xi’an, one of the Four Great Ancient Capitals of China. Xi’an held that position under several of the most important dynasties in Chinese history. We will visit the City Wall – one of the few ancient city walls still standing in China. 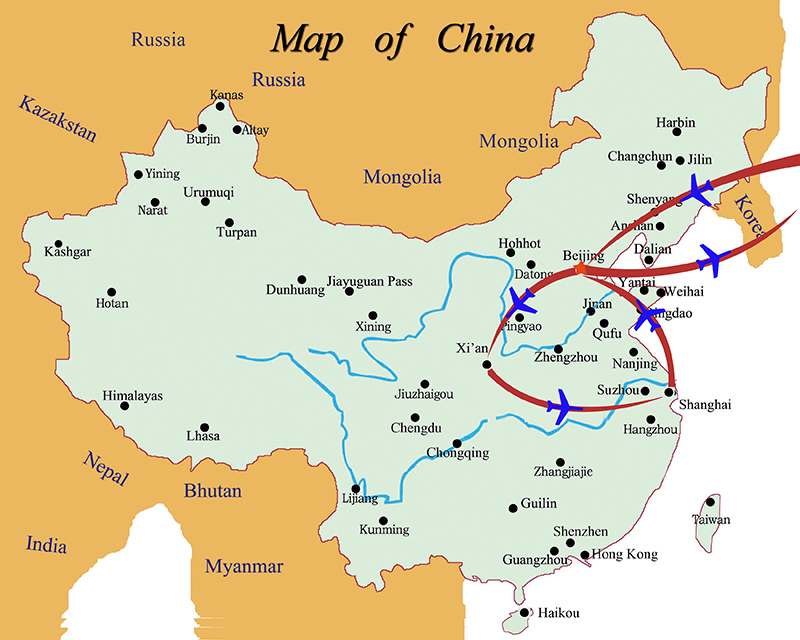 It refers to a defensive system used to protect towns and cities in China in pre-modern times. The system consisted of walls, towers, and gates which were often built to a uniform standard throughout the Empire. Enjoy the local cuisine that includes Dumplings or Jiaozi. It is considered part of Chinese Cuisine and typically consists of ground meat and/or vegetable filling wrapped in a thinly rolled piece of dough and then sealed by pressing or crimping the edges together. Common meat fillings are pork, mutton, beef, chicken, fish, and shrimp, and is usually mixed with chopped vegetables. Popular vegetable fillings include Napa cabbage, scallion (spring onions), leek, celery and garlic chives. Dumplings are eaten with a soy sauce-based dipping sauce that may include vinegar, garlic, ginger, rice wine, hot sauce, and sesame oil. **De Fa Chang Dumpling Restaurant: has many specialty dishes, but the most famous is Jiaozi made of Shark fin. Another kind of Jiaozi is the size of a small fingertip and filled with chicken meat. It is called a pearl Jiaozi and is boiled in a hotpot of chrysanthemum soup. Today, the words are different, for having one Jiaozi, means to go off smoothly, and two Jiaozi for double happiness at the same time. While enjoying Jiaozi, you can listen to the story and receive a blessing in China. In the morning, we will visit a UNESCO World Heritage Site, one of the most exciting archaeological finds of the 20th Century – the Terracotta Warriors. The Terracotta Army or the “Terra Cotta Warriors and Horses” is a collection of terracotta sculptures depicting the armies of Qin Shi Huang, the first Emperor of China. It is a form of funerary art buried with the emperor in 210–209 BC and whose purpose was to protect the emperor in his afterlife. Archeologists estimate there were over 8,000 soldiers, 130 chariots with 520 horses and 150 cavalry horses, the majority of which are still buried in the pits. We will have an opportunity to buy souvenirs at the Reproduction Factory. Then we will transfer to Muslim Street lined with various restaurants and stalls, some specializing in cakes, dried fruit, and snacks. The most famous dishes of Xi’an are available on Muslim Street, including Marinated Meat in a Baked Bun, Pita Bread Soaked in Lamb Soup, Bean Threads in Shaanxi Flavoring, and Xi’an Dumplings. Tonight we will attend the famous Tang Dynasty Dinner and Show that will show you the luxurious life during the Tang Dynasty. In the morning, we take a short flight to Shanghai, the most populous city in China. Due to its rapid growth in the last two decades, it has again become a global city, exerting influence over finance, commerce, fashion, and culture. Upon arrival, we will check into our hotel before visiting a Gem Store and Xintiandi for souvenirs. The Bund is the Landmark of Shanghai, with many historical buildings along the river. All these buildings were used for government organizations a few years back. Now, there are many restaurants, bars, clubs and boutiques in them. 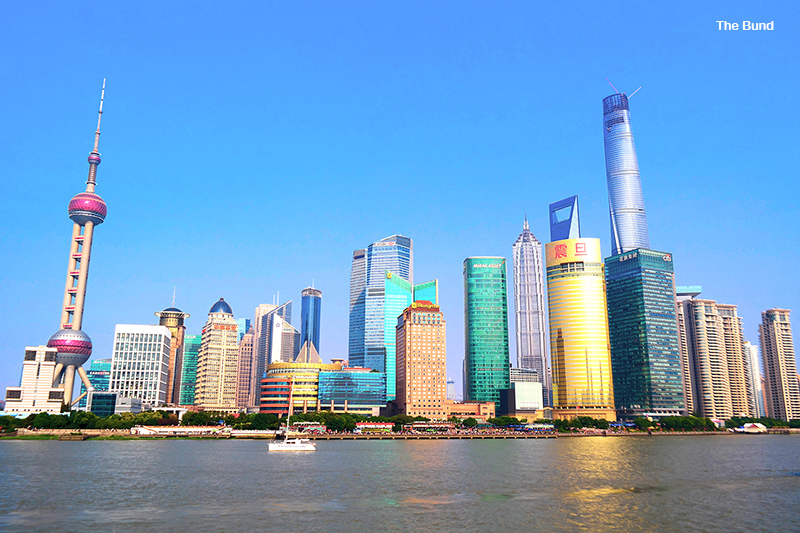 This morning, we will explore the Special Economic Zone of Pudong and walk along the East Side of Huangpu River with memorable views of the Bund and PuDong (the new financial district). We have arranged a visit to a Silk Factory to see the process of silk production, from silk worms to finished products and shop for silk products in the gift shop. After enjoying a Dim Sum Meal in China, we will visit the Yuyuan Garden, a famous classic garden in the architectural style of the Ming dynasty. It is peaceful and beautiful throughout the year. Take some time to wander along the narrow paths, ponds, and bridges. After exiting the garden, we will be at the entrance to the Bazaar or Open Market at the City God Temple. We can enjoy shopping for souvenirs or checking out food shops. We will enjoy a Chinese Acrobatic Show, ERA. Their death-defying acrobatic acts are excellent and will top other shows you may have seen. This 90 minute show with extremely skillful performers is one of the must-do-things or highlights in Shanghai. ** Lu Bo Lang Restaurant: With more than 30 years history, Lu Bo Lang Restaurant is a popular destination for national and foreign government officials. Its variety of delicate Soviet-styled dim sum is widely praised. It is also famous for its unique view of Yuyuan Garden Bridge of Nine Turns. With an elegant and quaint aroma, it serves Shanghai food, and is especially noted for Shanghai snacks like Crab Powder Stuffed Bun (steamed in small bamboo utensils). Vegetable and Meat Steamed Dumpling, Date Paste Stuffed Crisp Cake and Three Shreds Crisp Pastry. After breakfast, we have free time to explore the city in the morning. After lunch, we will visit Shanghai Museum. As a museum of ancient Chinese art, Shanghai Museum possesses a collection of over 1,000,000 objects, about 120,000 of which are precious national-graded works of art. Its rich and high-quality collection of ancient Chinese bronze, ceramics, painting and calligraphy is specially celebrated in the world. Tonight, we will transfer to the airport for our return flight home via Beijing. We strongly recommend purchasing travel insurance when you make a reservation.